I don't think anybody realized we were actually seeing a young M. Emmet Walsh in Blade Runner. 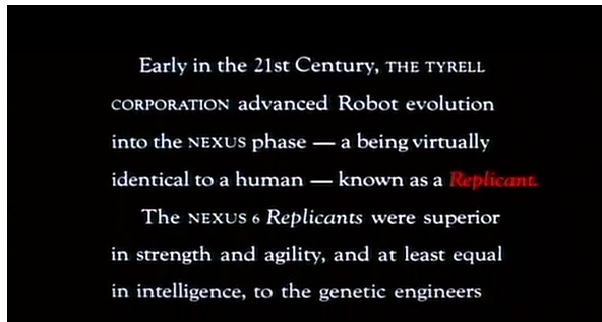 That's the thing--the use of "Robot evolution" and "skin jobs" indicates Terminator-esque cyborgs to the casual viewer. But, no, the Replicants are flesh and blood. Genetically-engineered. Not, robots, not cyborgs. 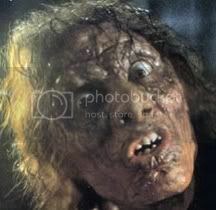 More akin to mass-produced Khan Noonien Singhs than T-800s. I think a lot of people have gone out of their way to miss the point: Replicants are only different from humans because people say they are. Their origins are artifical, yes, but they clearly have the same mental, emotional, and physical capabilities. Indeed, they have superhuman versions of those capabilities. They're not automatons. One oddity in 2049 is the central premise of Wallace being unable to make Replicants who can reproduce. I'd always had the impression from the original film that the Replicants were deliberately made sterile, as a precaution. 2049 indicates that Rachael's fertility was instead some kind of scientific breakthrough made by Tyrell, which had been lost after his death. Over here the length is 2h43mn. Already several versions ? One (stupid) question : Are replicants able to distinguish other replicants ? K-Joe does when talking to Luv. I think Joi is an interesting character. Her naming of K as Joe seems spontaneous but then the advert also names him Joe. A good, subtle piece raising the question of just how much of what appears to be spontaneous and growth in an AI, is actually reverting to programming. Me too, James. As I stated earlier that was a nice subtle bit. Though maybe subtle is the wrong word for a giant naked hologram. The dialogue was subtle at least. And the visual of the holographic image was gorgeous as the actress playing it. Turns out I thought I had read the posts on page 4 when in fact I clearly had not. Apologies to Greg and Shane. BLADE RUNNER appears to have the powers of a strange curse - every corporation that paid for product placement in the movie (including Atari, Pan Am, RCA, Cuisinart, and Bell Phones) suffered extreme losses in the years that followed the film's original release. Even Coca-Cola wasn't safe from the curse, when, in 1985, its attempt at a 'New Coke' rebrand was a very public failure. I don't believe in such things. Corporations have difficulties, even the best ones. And methinks 'New Coke' (I never tasted it, did the UK sell it?) was a failure more to it not being 'Classic Coke' than any tenuous link it had with BLADE RUNNER. Eh, I put in in the same category as the “Superman Curse” and the “Odd-numbered STAR TREK Movie Curse”. People stretching to find patterns in the midst of coincidences. I'd wager I could find some corporations, who advertised in BLADE RUNNER, that had a successful 1980s. It is a stretch. I mean, "New Coke" came 3 years after BLADE RUNNER. When does a 'curse' expire?